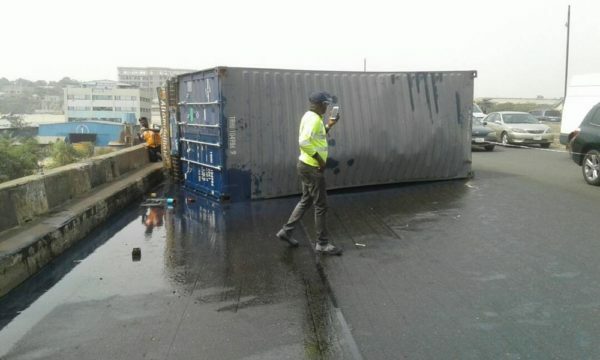 A trailer fell off the Kara Bridge along Lagos-Ibadan Expressway in the boundary between Lagos and Ogun States. 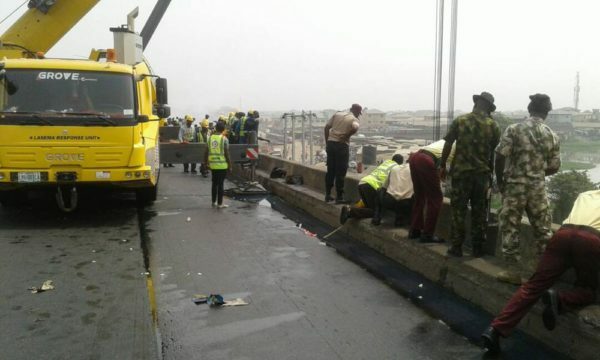 The trailer plunged into the water beneath the bridge while the container attached to it fell on the bridge. 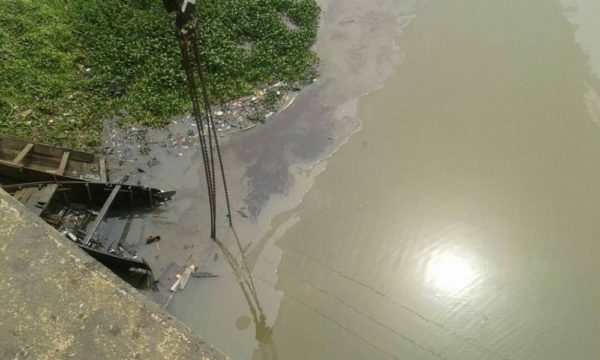 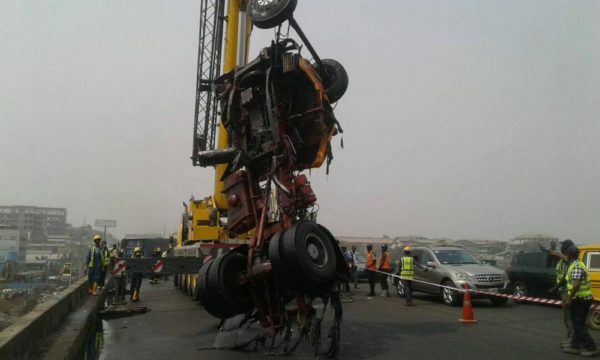 There are reportedly some casualties, with the truck being recovered by officials with the Lagos State Emergency Management Agency (LASEMA) response unit.